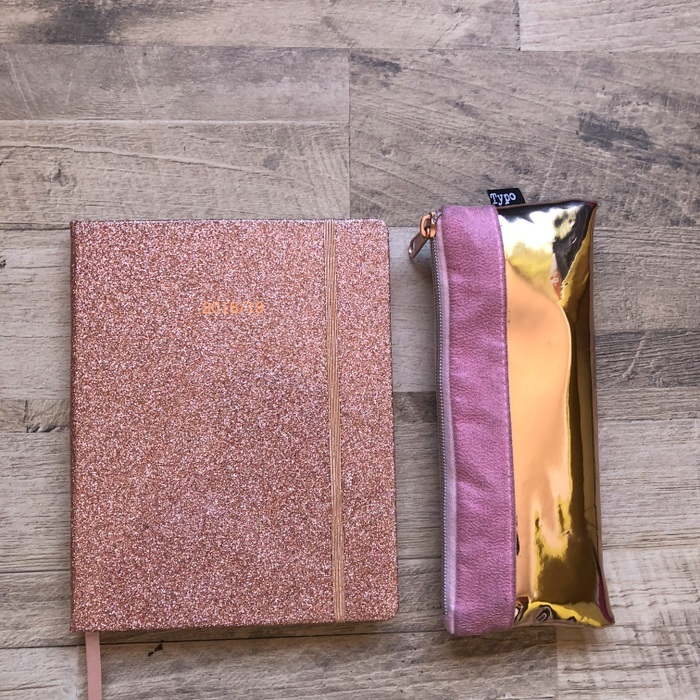 As I transition into the new year… and my new diary for 2019, I thought that I’d take a few minutes to note down and review my favourite things about my current diary. Colour. I love the turquoise colour with the gold foil lettering and embossed feel. 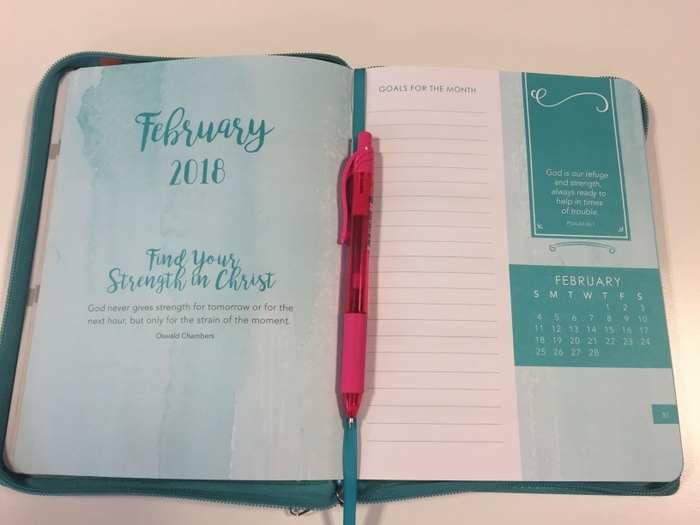 The pages are white with grey and turquoise shadowing. Feel. It is gorgeous to the touch. Zipper. I carried my bullet journal and other bits and bobs inside, and because it zips up, nothing has ever fallen out. Paper. The paper is thick, smooth to the touch and is lined with a width that is perfect for my size handwriting. Weekly planner. It is horizontal which is possibly the only thing I didn’t love at the start of using it but I have had no trouble adjusting at all. 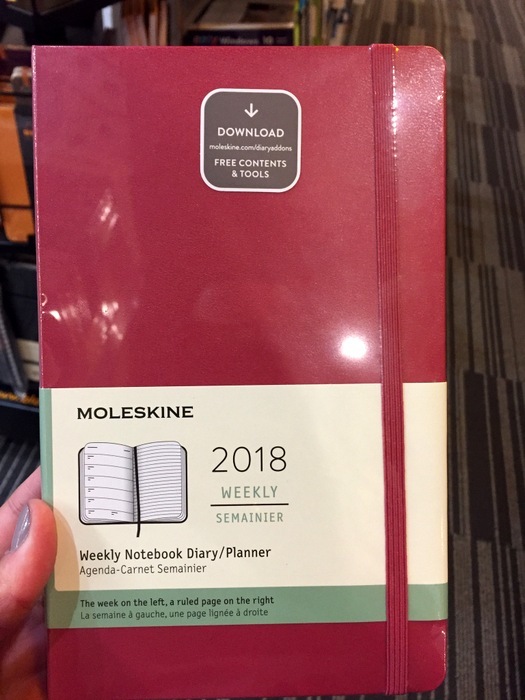 They did not import the 2019 version of this diary to South Africa but a reader (hi Michelle!) let me know that she got one in Germany. If you’re lucky enough to get one of these, enjoy it. 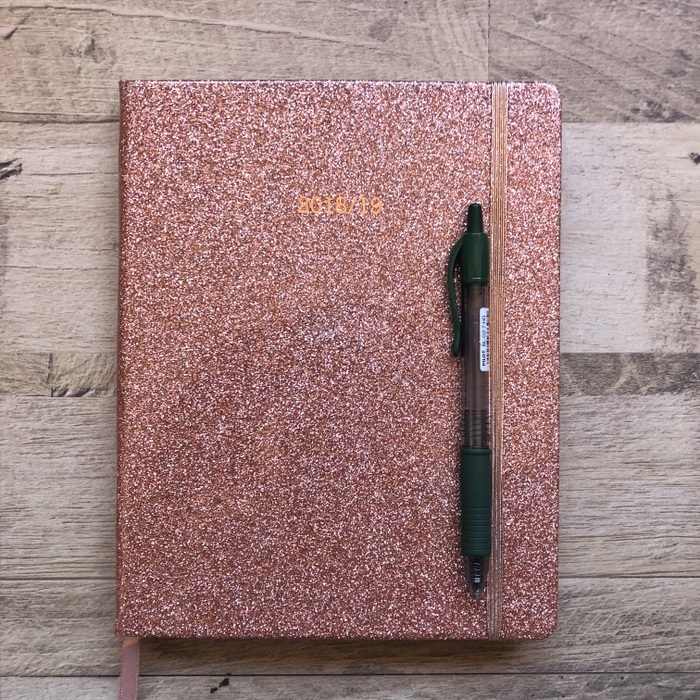 Tell me your favourite thing about your 2018 diary. PS if you missed it, I showed you all my diaries from 2007 in my Instagram story highlights. I’m happy to add them to the highlights again – you need to just tell me to do so in the comments. August, as well as being my birthday month, is also the best bookshop month ever. It’s when the new diaries start appearing. 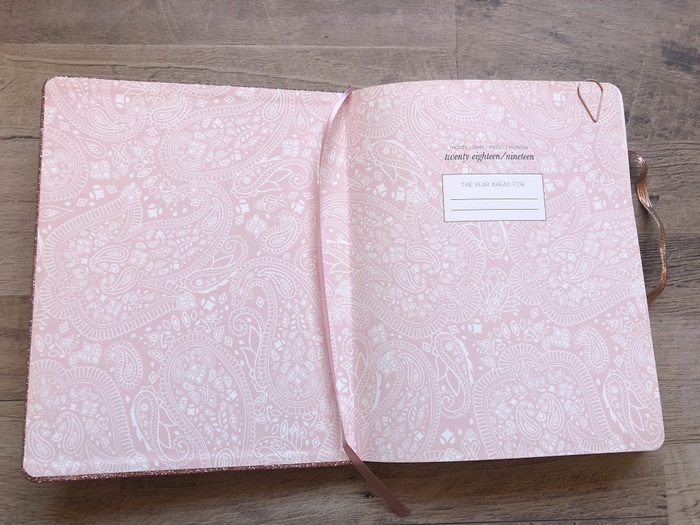 I’m very clearly a paper-embracing gal and I love a paper diary, but I have had lots of back and forth within myself on which diary to buy for next year. 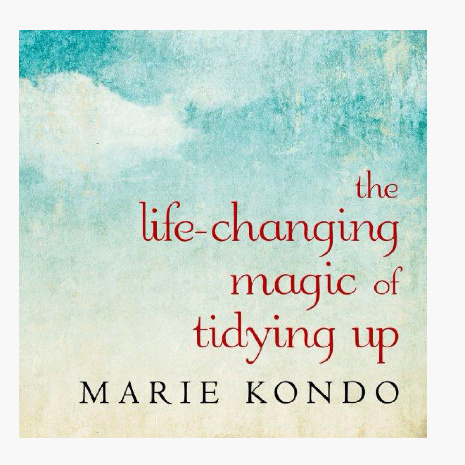 If you’re on my newsletter list (if not, sign up here), I wrote about this when I sent out the mid-month newsletter. 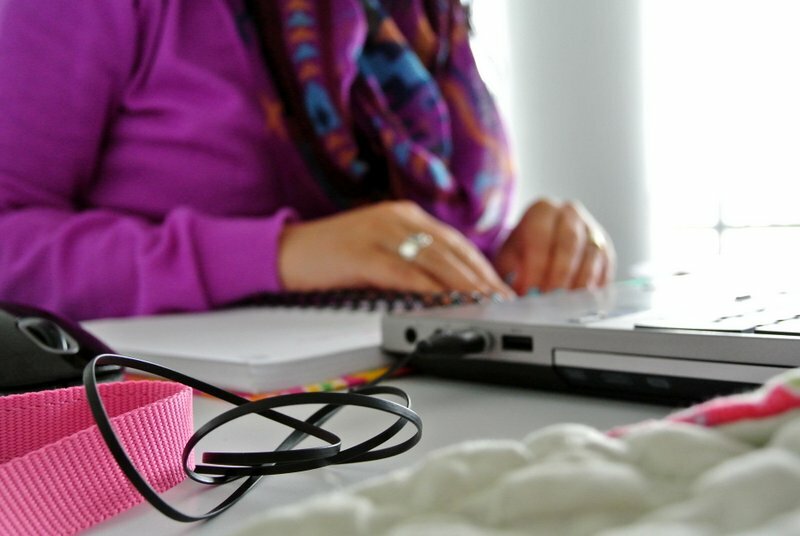 Am I a J or a P on Myers Briggs? This is a fun one to start with and I’ll tell you why. Js actually use their diaries; Ps like the idea of using a diary but they don’t. 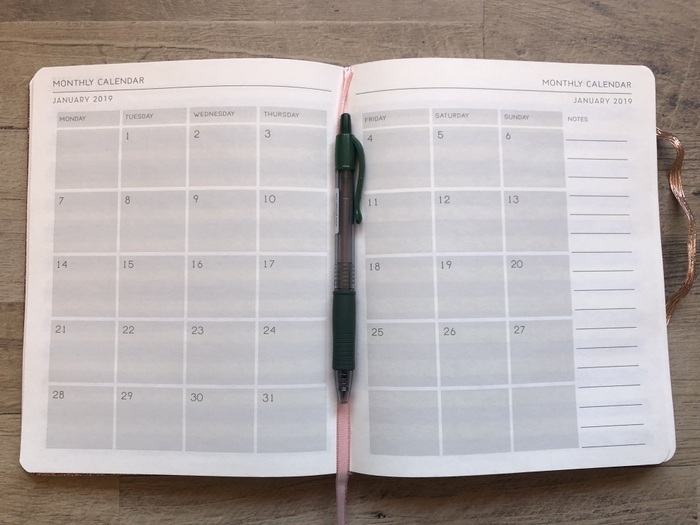 If you’re someone who stops using a diary by mid- or end-Jan, are you perhaps a P? Do I prefer the A6, A5 or A4 size? 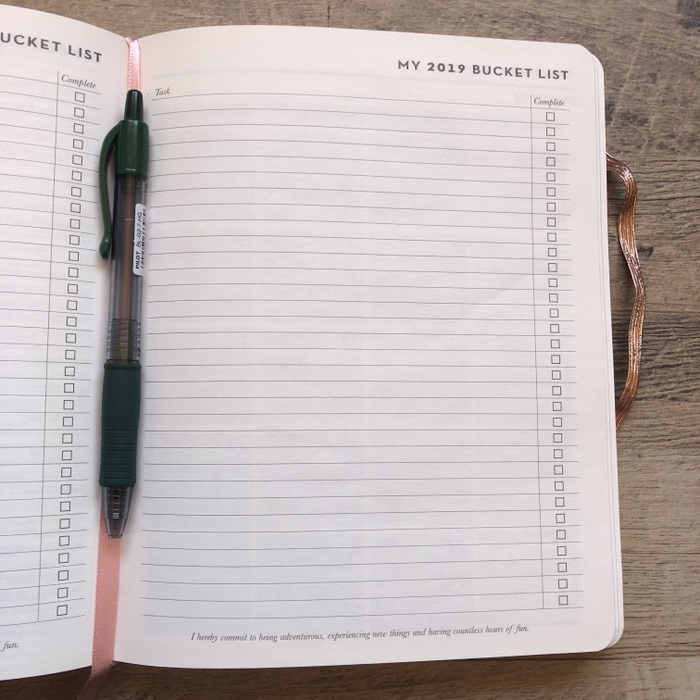 Is your diary going to stay on a desk, in which case you can get a big, hefty one, or if you intend to carry your diary around with you, you may want to opt for a smaller size no matter how much you love the bigger one. 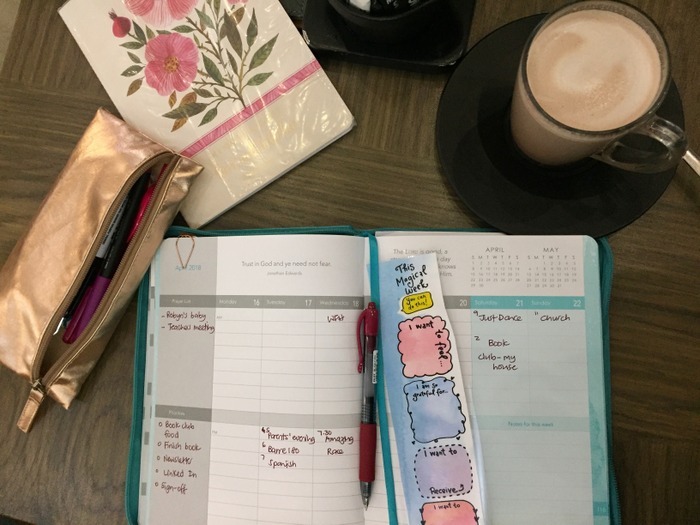 Do I like a daily, weekly or monthly planner? 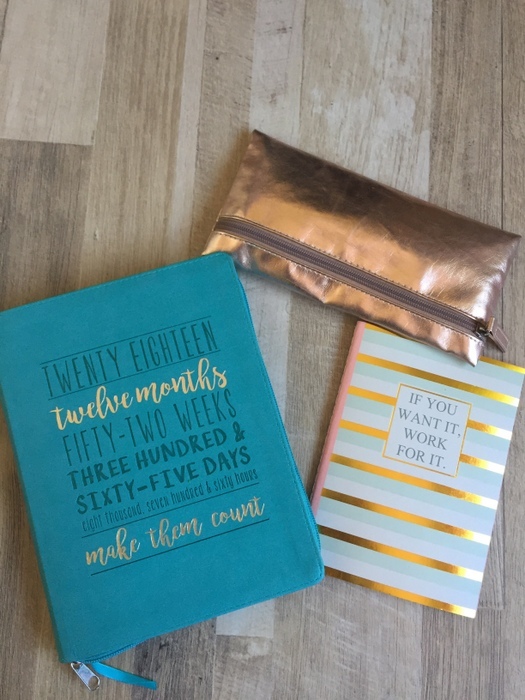 I’ve seen very few monthly planners (literally just a month at a time with maybe a picture on the top), a fair number of weekly planners and tons of daily planners. 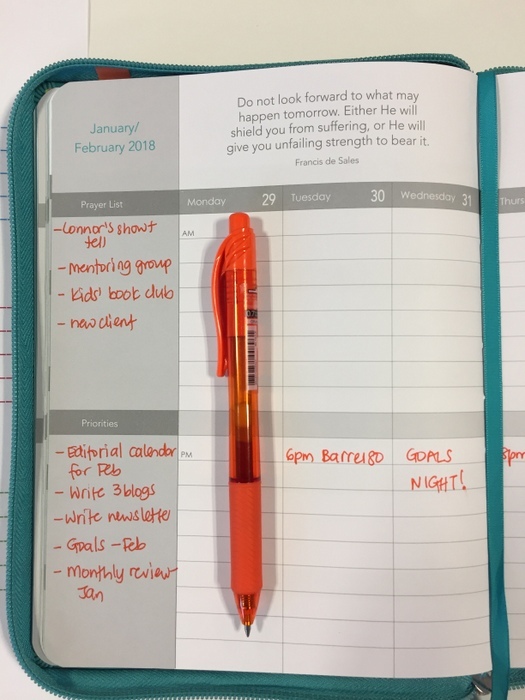 Is everyone really a daily planner? If you are, please tell me. Do you need it to start on a Monday or a Sunday, or does that not matter? Do you prefer a vertical or horizontal layout? 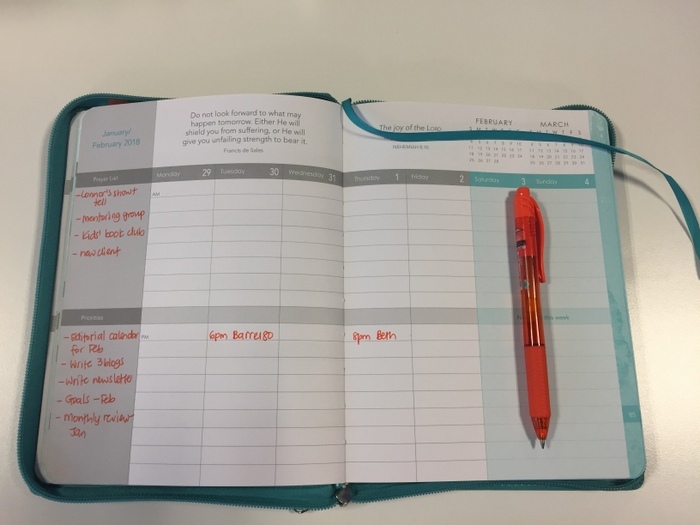 Do you need space for notes in your regular planning, at the back of the diary or not at all? Yes, yes and yes again for me (see the Legami planner above). I do know that some people don’t need note space. 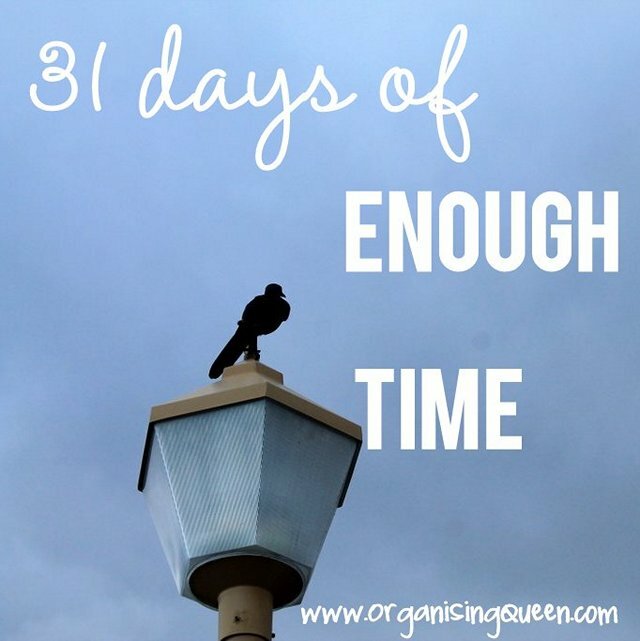 Do you like a month-at-a-glance page before the month starts? Do you need a goals page? 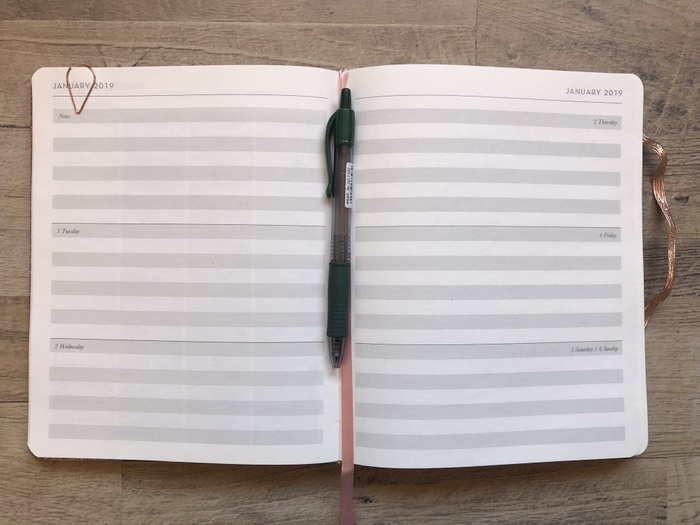 I like to have an overview of the month, preferably in a block layout, not just lines running down the page, and of course I like a goals page. 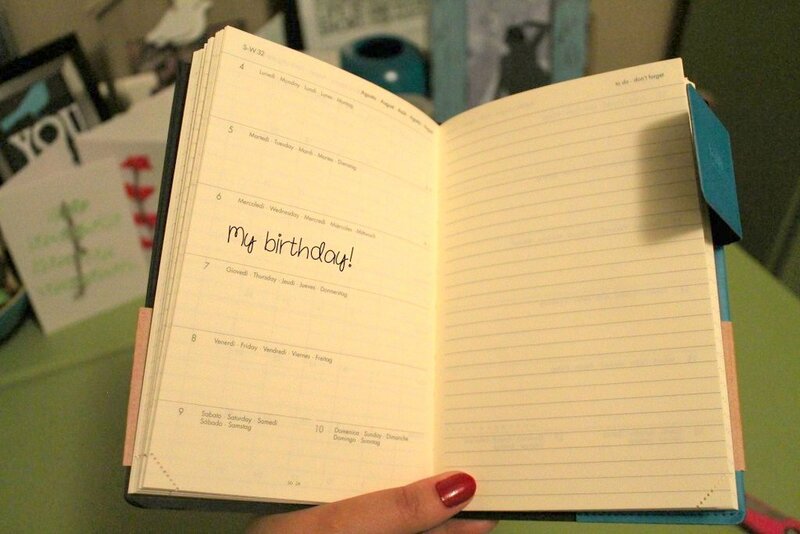 What about other features that will make you like your diary more? 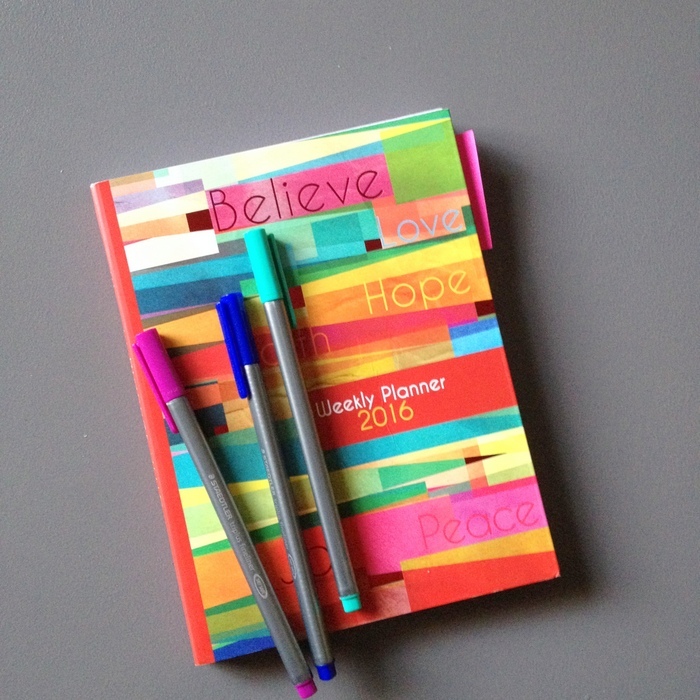 Do you like a bright diary or something that won’t stand out? Do you need a pen loop? 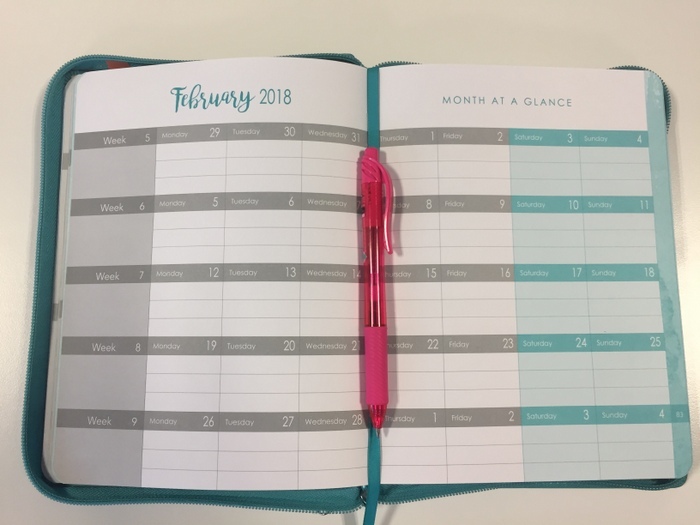 Do you like perforation so you can mark where you are in the diary? Do you like a bookmark? Do you prefer hardcover or softcover? Which of the options above do you definitely know you need?